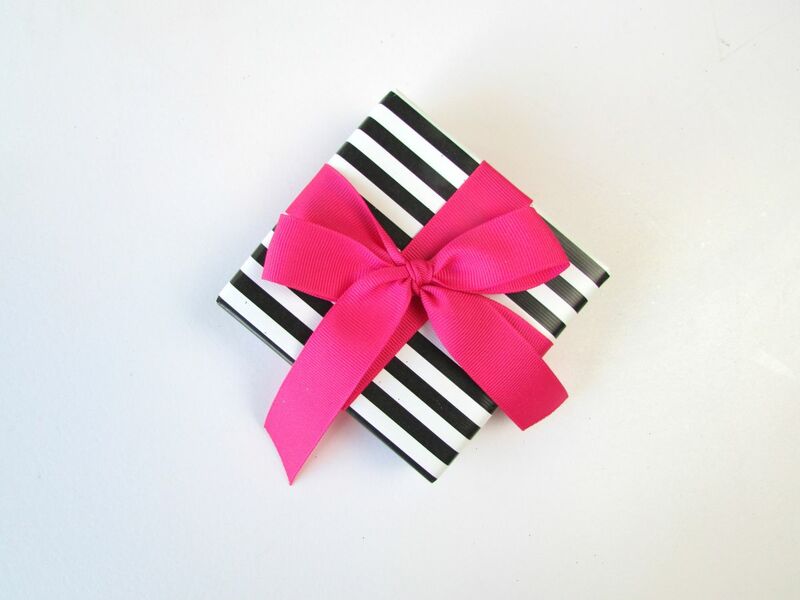 When it comes to gift giving, I think choosing the gift wrap is sometimes just as fun as picking out the gift itself. In order to simplify the wrapping process, I keep a small box along with a few rolls of wrapping paper under our bed to function as my gift wrap stash. 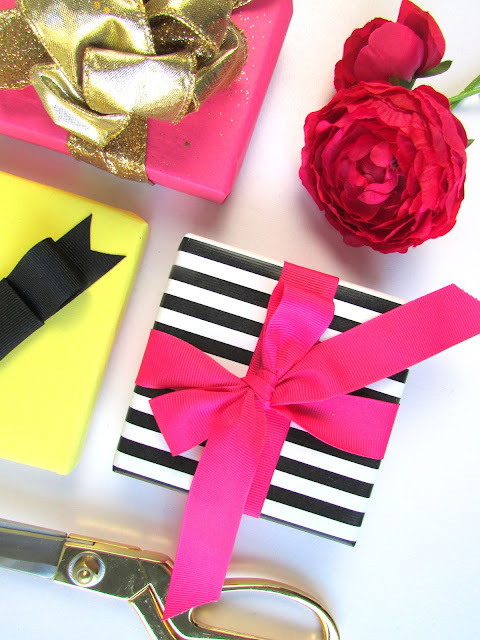 That small box holds a few ribbon spools, leftover ribbons from past gifts (why not reuse?! 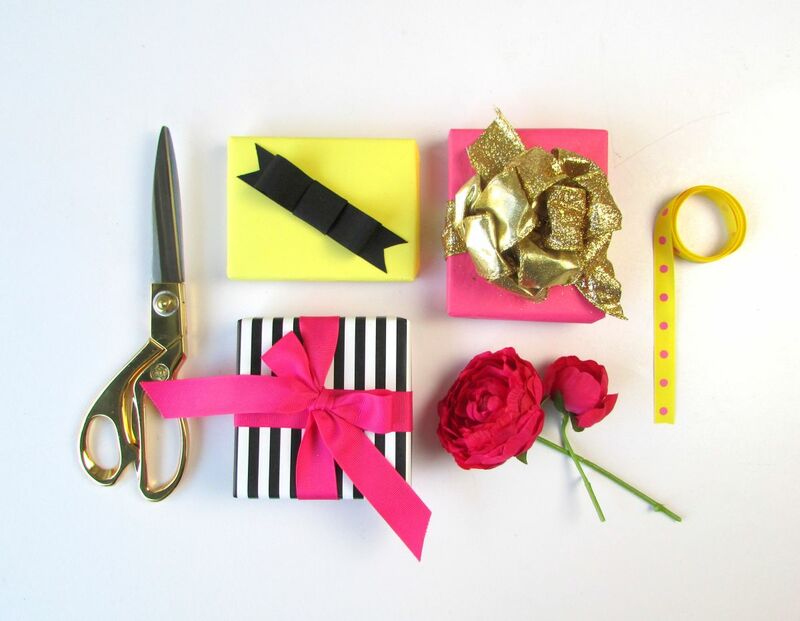 ), scissors and tape so it’s fast, easy and affordable to wrap up a pretty gift on the spot. 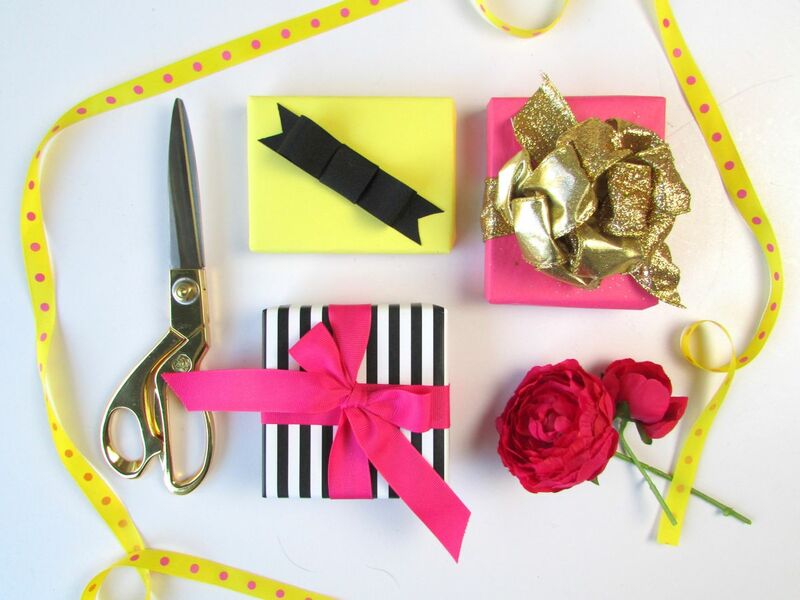 Add wow factor to those gifts by mastering these easy ribbon bow tutorials! 1& 2. 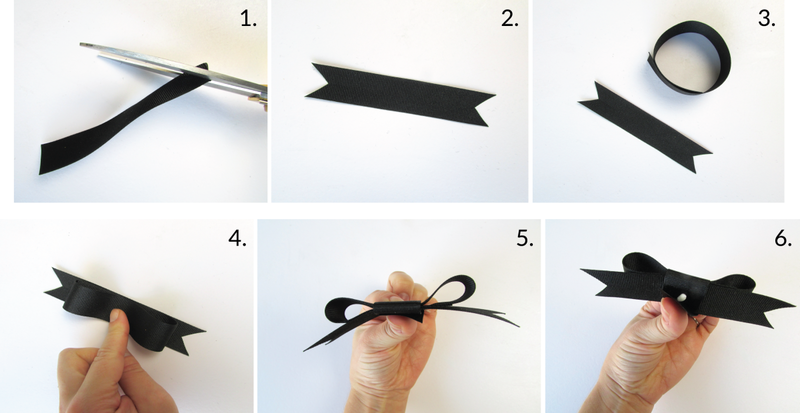 Cut the base ribbon (non-wired) roughly 5" long (or longer for a larger gift) and cut notches at each end of the ribbon, by folding each end of the ribbon lengthwise and cutting a 45 degree angle upwards toward the center of the ribbon. 3. Bend another piece of ribbon roughly 1.5 times longer than the notched base ribbon and bend into a circle securing with a dot of all purpose glue. 4. Fold the circle in 1/2 and place over top of the notched base ribbon. 5. 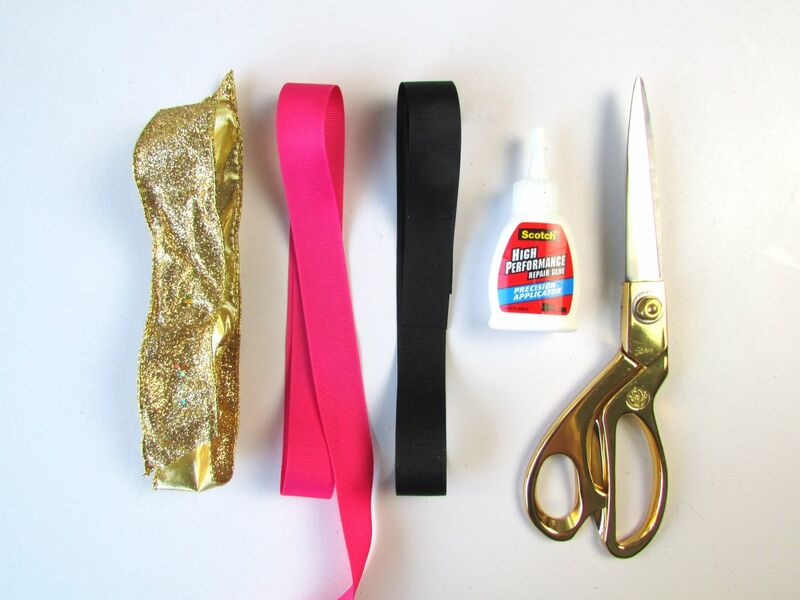 Cut a small piece of ribbon just long enough to wrap around the middle of the ribbons. 6. Secure the small piece of ribbon with a dot of glue. Allow to dry and adhere to the top of your gift with either glue or tape. 1. 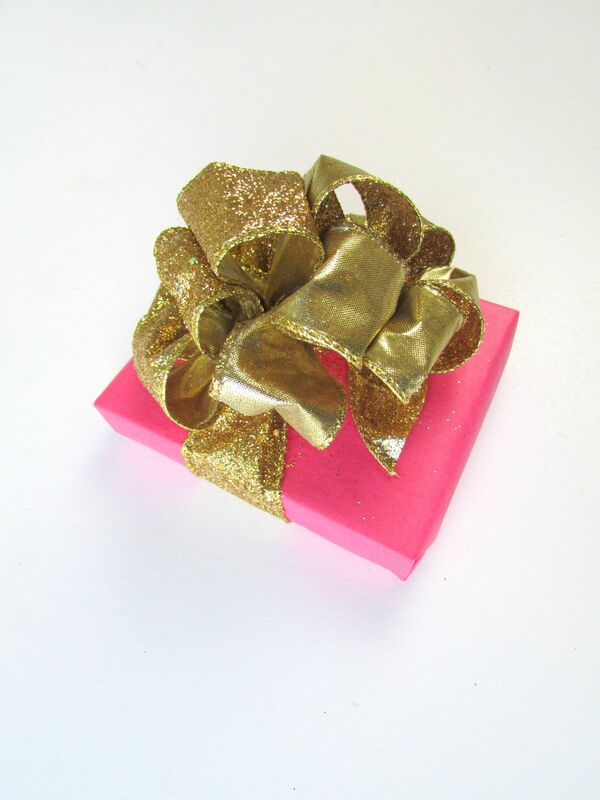 Cut non-wired ribbon roughly 6 times the widest width of your gift box. 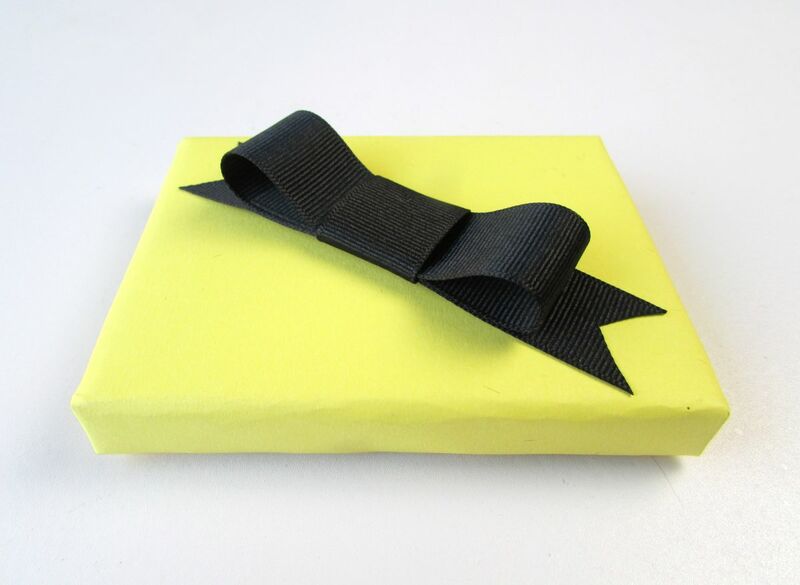 Place the gift face down on the middle of the ribbon. 2. 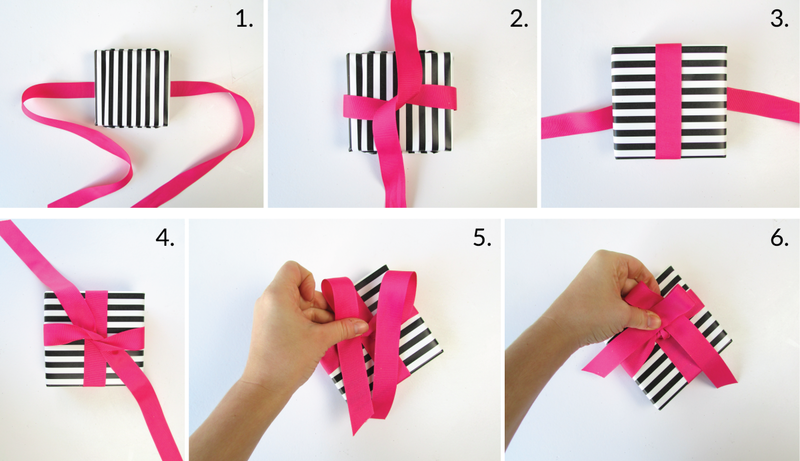 Wrap ribbons around gift so they twist around one another and then run perpendicular to the original direction. 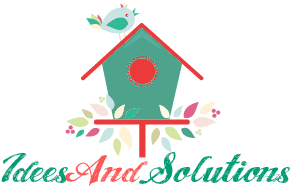 See picture! 3. Pull ribbons tight and flip the gift over. 4. Tie a knot on the center top of the gift. 5. Create two bunny ear loops. 6. Cross the left loop over top of the right loop. Bend the left loop around and pull through the hole underneath the loops. Pull tight. 1. 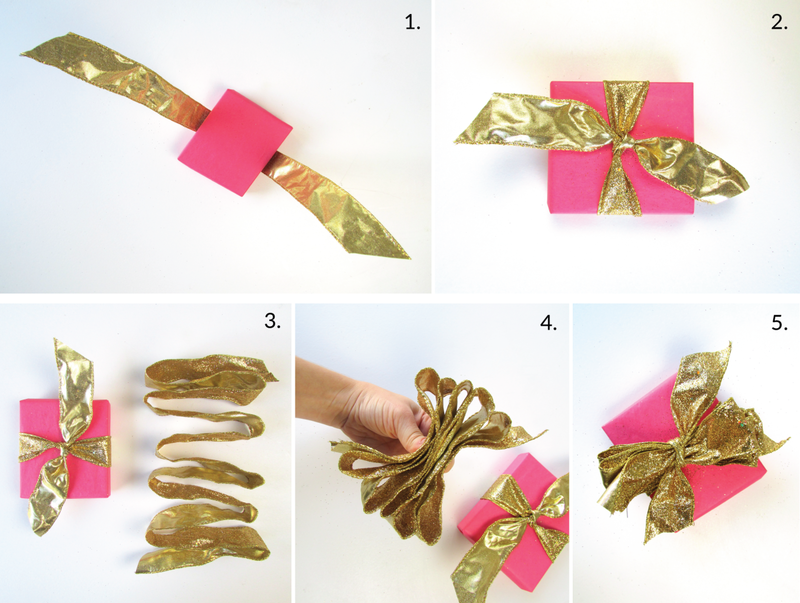 Cut a piece of wired ribbon roughly 4 times the width of your gift. 2. Tie a knot on the top of the gift. 3. Fold a long piece of wired ribbon accordion of style. 4. Gather the ribbon in at the middle. 5. Place the accordion folded ribbon on top of the knot tied in Step 2, and use the tails from Step 2 knot to tie another knot around the folded ribbon to hold into place. 6. Fluff up the ribbon loops to form a poufy bow.